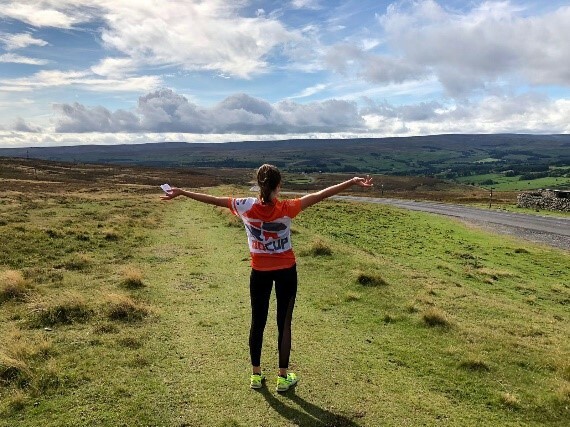 Each year OUCCC organises a Pre-Season Training Camp in mid- or late September, a few weeks before the start of Michaelmas Term in order to get reacquainted with miles, hills and each other. 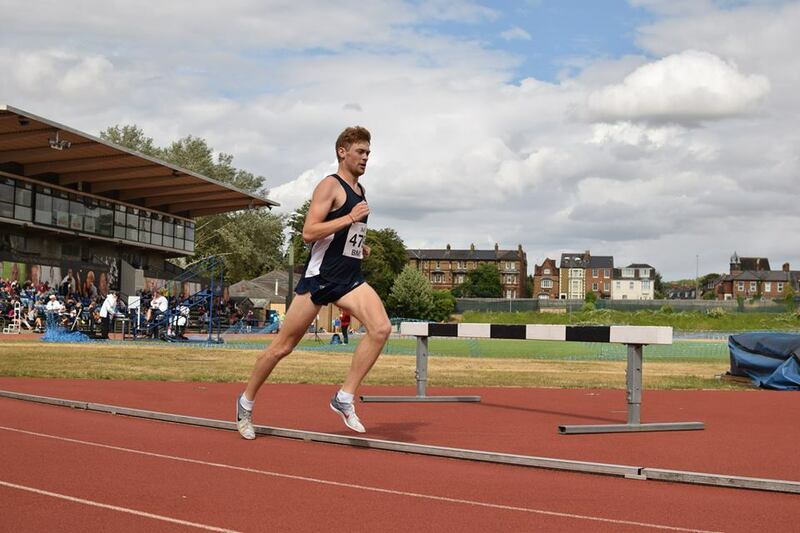 For sure one of the highlights of the OUCCC calendar, incoming Fresher, Daniel Bundred, reports on our 2018 Pre-Season September Training Camp. 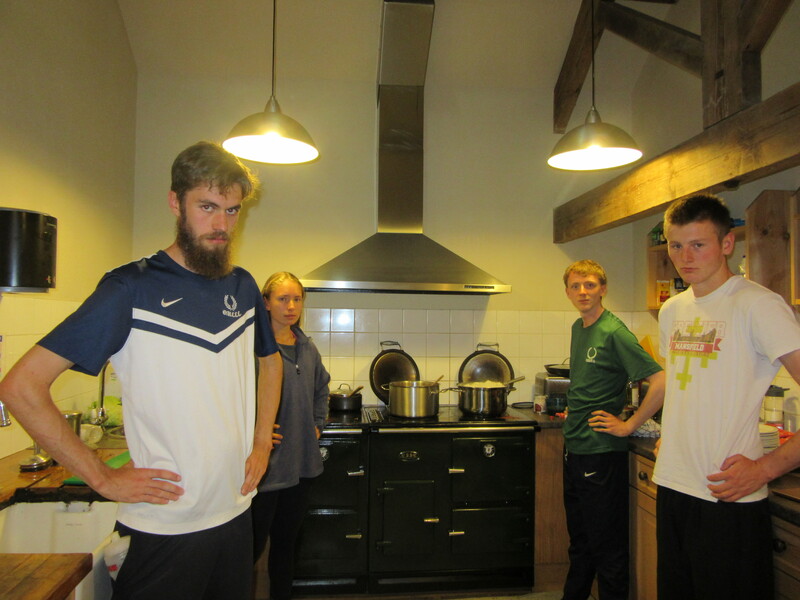 From September 13th-18th, this year’s camp was hosted at Gibside Stables, a long way north of the Pret-Greggs border. Still, this did not seem to hamper attendance as ­­­­­­­­­OUCCC turned up in force. 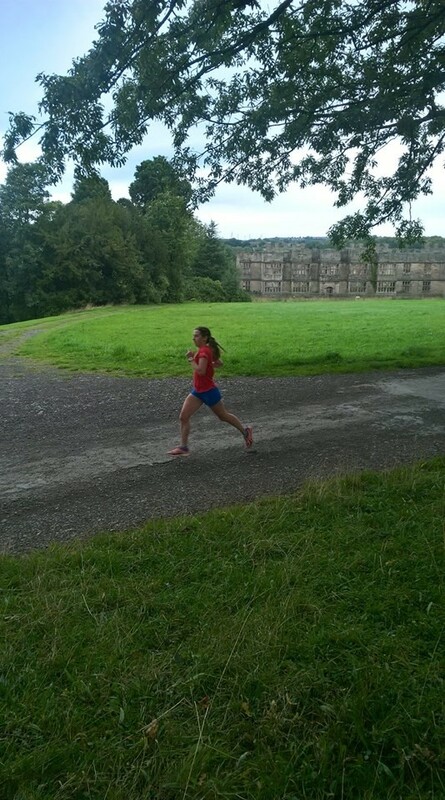 Gibside Stables provided us with a wealth of scenic routes and the group wasted no time in making use of them with a variety of runs on Thursday evening. Extreme Pictionary made its return, albeit with the Yeti being transformed into a “caveman driving a Bentley”. Friday began with a trip to a local pool, followed in the afternoon by an easy out and back along the Derwent Walk local disused railway trail and Dutty’s core session (complete with Paulin’s timing/commentary). 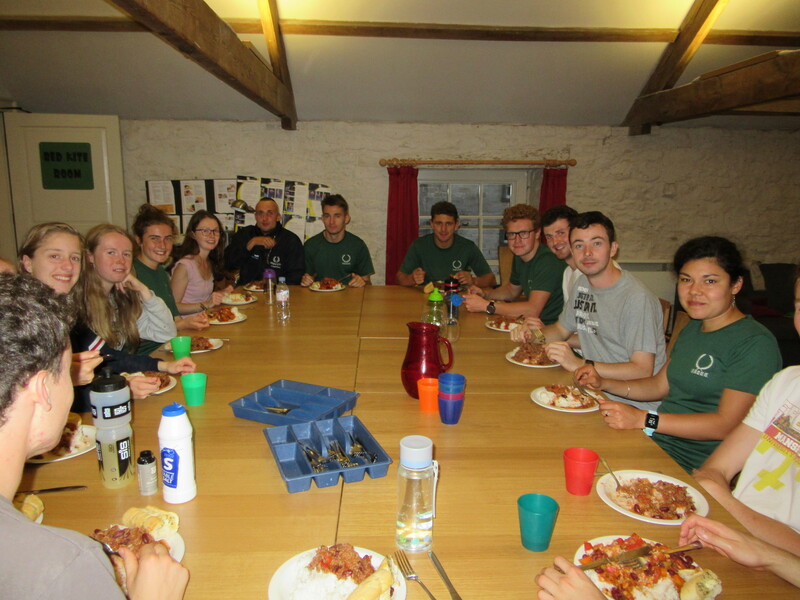 Friday evening saw Paulin’s famous chicken curry before the arrival of Joe Dugdale. 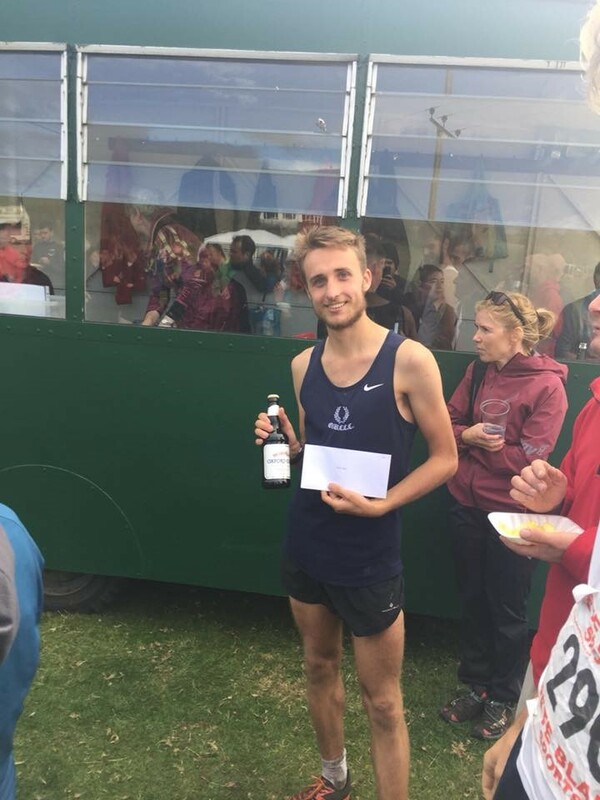 Woodsy then went on to join Noah, Tim and Aidan at the Simonside Fell race on Saturday, with the latter two claiming 3rd and 1st place respectively, but not before Dutty became first finisher at this week’s Gibside parkrun, missing out on the course record by a mere 21s! There were solid performances also from Connor, Helene, Claire and Ellen with the ladies acquiring an impressive 1,2,3! The rest of us began our session an hour later with 1 mile tempo followed by 2 or 3 each of 4 and 2 minute efforts. After more running that afternoon, we assembled for pizza in the café at 18:00. Unfortunately, two dozen pizza orders proved too much for the National Trust to handle and the alcohol consumed by the time they had arrived at 20:00 laid the foundations for the events of later that night. 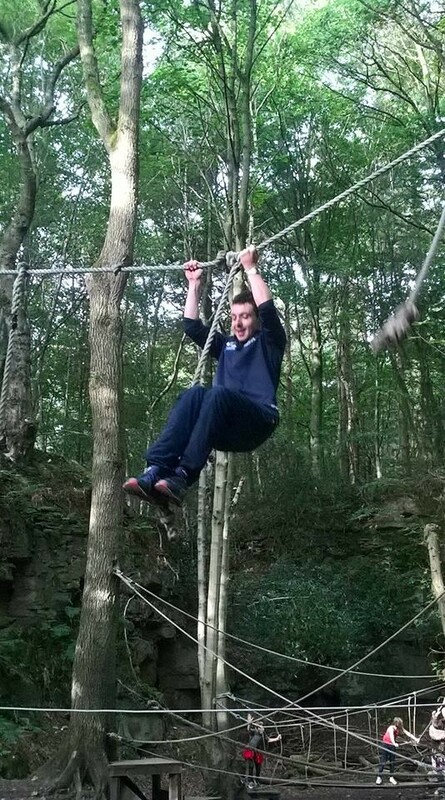 More on that from our Social Secretary: Tim Harrison. Sunday morning featured some impressive mileage nonetheless, with all except Woodsy surviving unscathed. 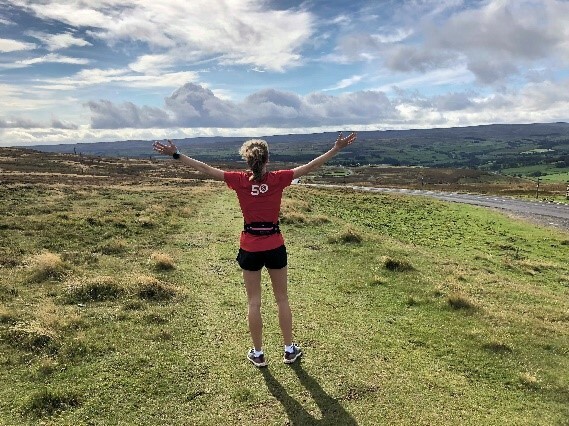 There was a well navigated 10 miles around Chopwell woods as well as a 14 mile 1474ft run through the Pennines from Stanhope. 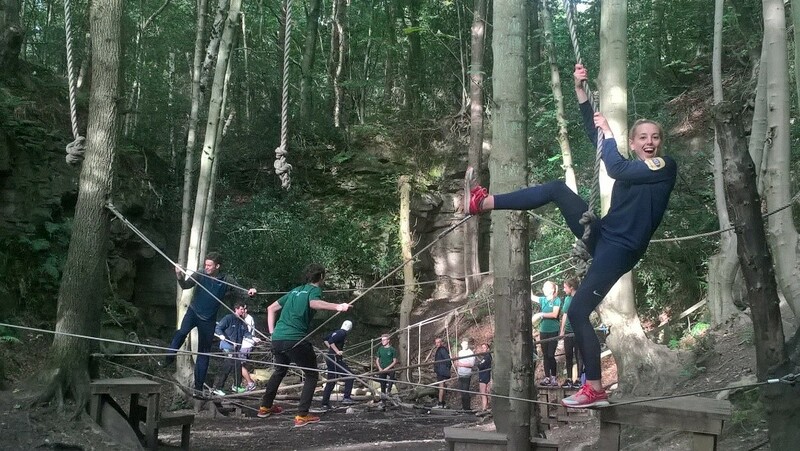 Sunday afternoon was spent proving you’re never too old for the low ropes, with Dutty, Sam and Dani finding new ways to make the course more challenging. 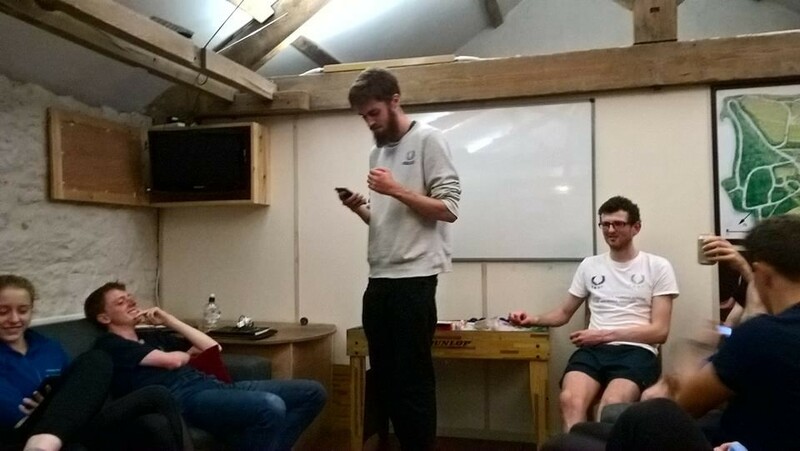 Sunday was quiz night, with Woodsy and Paulin taking us through a wealth of OUCCC trivia from how to be a supple leopard to last year’s Varsity results. On Monday, there was more swimming, along with several morning and afternoon runs. Those who didn’t go swimming enjoyed a few games of hats, featuring Dutty’s “savagery” and an impressive number of references to Garforth given his absence. The evening featured an OUCCC singalong inc top hits such as “Luuuuk Metselaaar!!!!!!!!!! !” and “No Sympathy For Oli Paulin”. Before leaving on Tuesday it was time for our second session. 2 miles at tempo followed by a pyramid (30,60,90,120,90,60,30 [1’’ jog]). The session was well run by all and marked the end of a successful 6 days of training; well done to all! 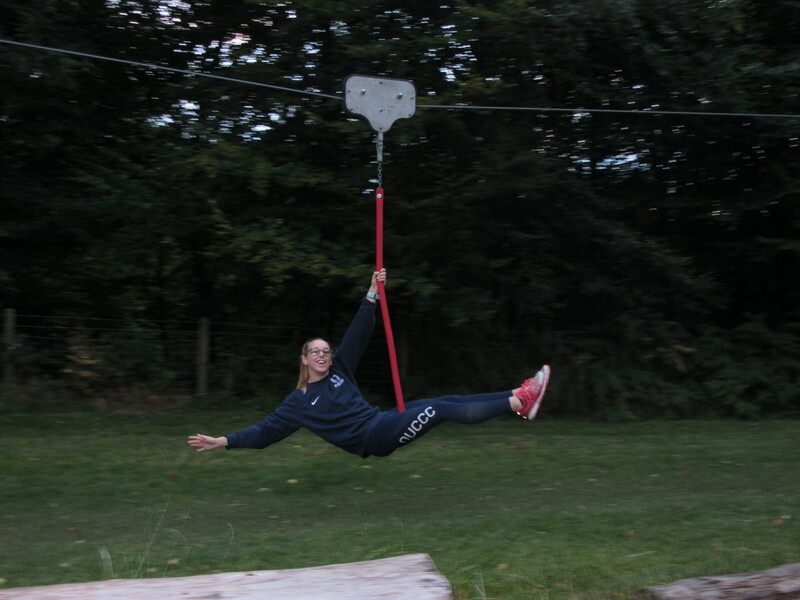 An enormous thank you to all those who helped organise the camp. In particular to Club Captain Helene Greenwood and Men’s Captain Oliver Paulin for their tremendous efforts in organising the camp! 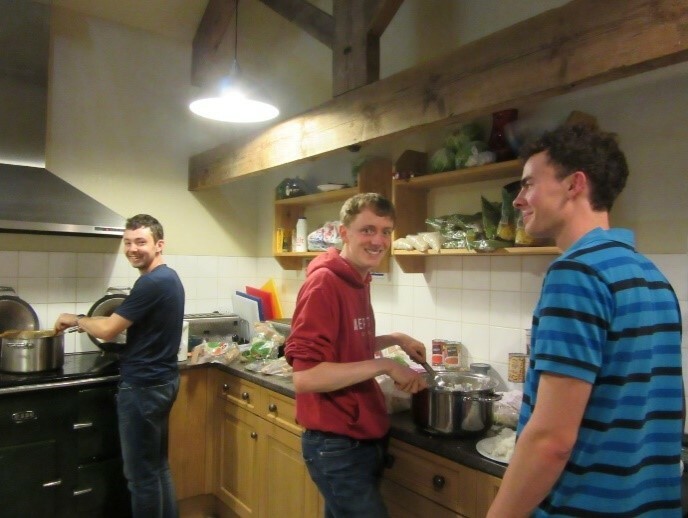 Thanks also to all those who helped ferry people to/from the station, those who helped produce copious amounts of wonderful food, those who baked beforehand and indeed to everyone who came for making all the Freshers feel so welcome and for sharing so much useful advice. 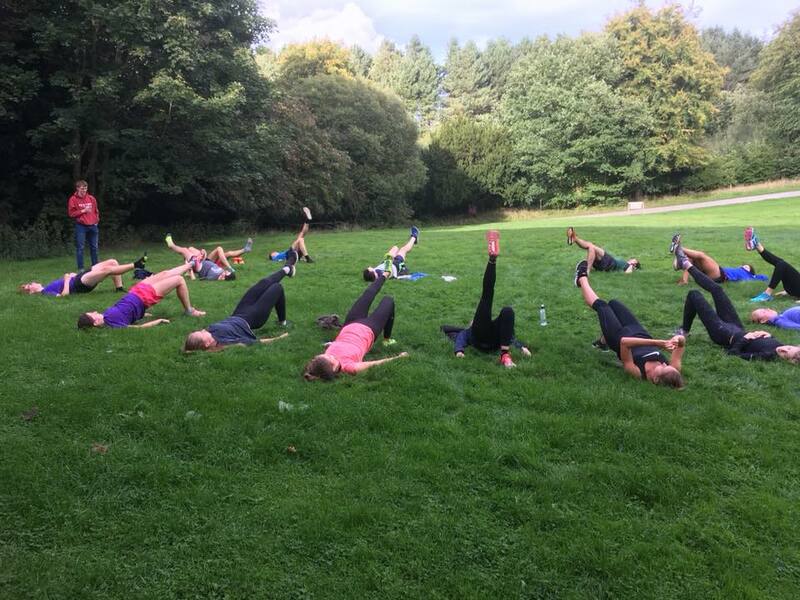 A huge thank you also to Lesley Byrant for travelling all the way up north to administer deep tissue therapy as well as a fantastic workshop on Friday. 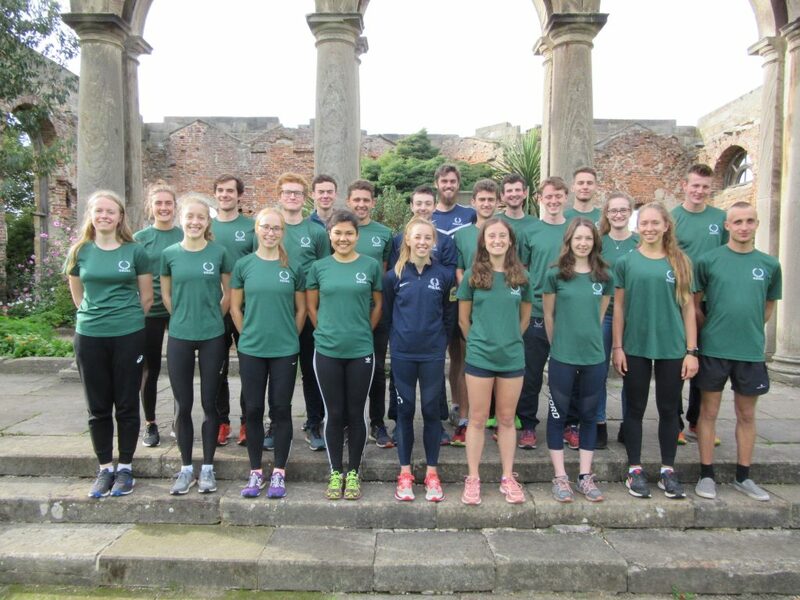 The last weekend of July saw OUCCC host its annual Iffley Festival of Miles, with this being the second year running that the club has organised the entirety of the event. 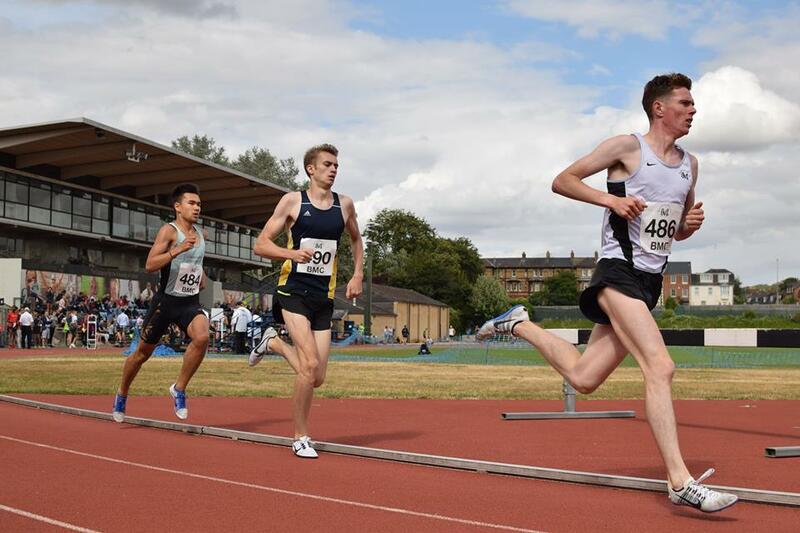 2018 would prove to be a special occasion indeed with Iffley Road being the home of the first sub-4-minute mile and Sir Roger Bannister’s passing in March of this year, which merited the inclusion of the flagship race of the BMC ‘Sir Roger Bannister Memorial Mile’ series. 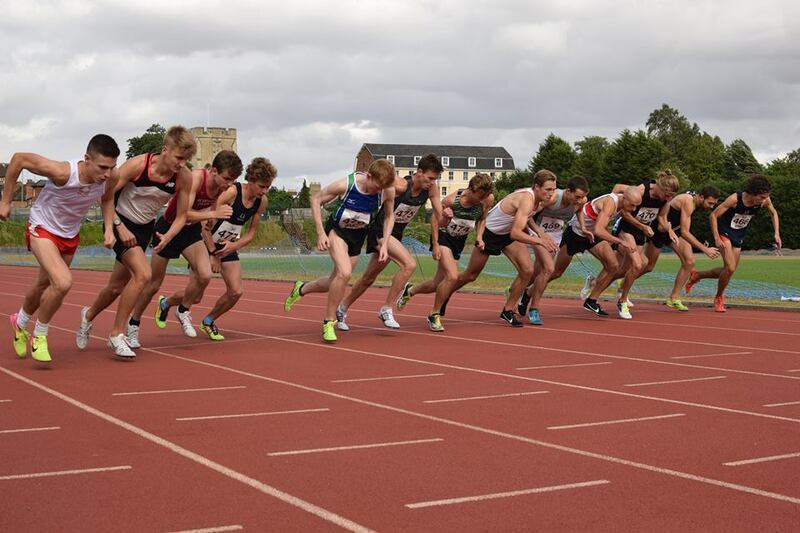 The Iffley Festival of Miles races were scheduled first, preceding those of the BMC, and OUAC’s Matt Newton took first place in the 600m A race in a time of 1.25.71, whilst Penny Oliver took gold in the B race with 1.43.02. The more popular Open Mile races followed the 600s with several past and present OUCCC members competing. A stacked B race included Steven Diggin, Connor McGuirk, Chris Hutchinson and Flo Scrafton. Steven and Connor managed to be well under 5 minutes while Chris just missed out by a second. Flo ran a 5.07, but this was only her first event of the day. Kirk Smith made the cut for the A race and finished in 4th place, boasting a time of 4.33.35. 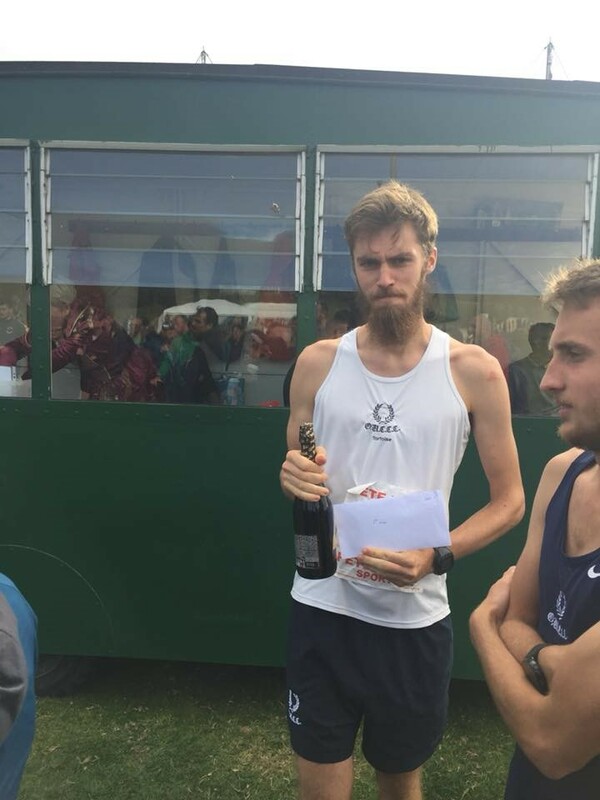 The final Iffley Miles race was a rather diminished 3000m with only around half of the entries making the start line, although both Oxford and Cambridge athletes lined up in unfavourable conditions. Ten athletes overcame the wind with Joe Woods and Lea Roumazeilles in dark blue and Jacob Brockmann, Su-Min Lee and Lauren Major wearing the minty green of Cambridge. The BMC Regional meet made up the second part of the afternoon with the 800m races first up. Few PBs were to be had in the men’s races where the fastest time on the day was 1.53.18 from Edward Dodd of Portsmouth, but the women’s races drew much more Achilles attention. Isabelle Scott and Dani Chattenton of OUAC ran the A race with Issy finishing in an impressive 3rd in 2.11.14, whilst Dani was the only woman to pick up a PB in the field. Niamh Bridson-Hubbard of Cambridge was 4th in the B race and Flo Scrafton bagged a SB in the C race, having already ran a mile! A minute of silence was then held in honour of the late Sir Roger Bannister before the eagerly anticipated Mile races in which we hoped a replication of his feat would be achieved some 64 years on. The A race was stacked with quality; Phil Norman, Jonny Hay, Josh Carr, Jamie Parkinson and Phil Crout, to name but a few. Norman took the win after a battle with Carr but no sub-4 time was to be had unfortunately. The wind had played its part, nevertheless six out of nine athletes recorded a PB or SB. There was not even a place in the A race for Oliver Fox of Cambridge, who took the B race win in 4.17, managing to out-kick James Coxon of the same university. Miles Chandler also featured and ran a SB. The 2018 event was a huge success in its second year of total OUCCC control despite unfavourable weather conditions in what could only be described as unfortunate timing after having several weeks in a row of only sunshine. Many thanks to Helene, Alex, Charlotte, Oliver, all the officials and the OUCCC pacers on the day for providing such a memorable day of athletics. Thank you also to everyone who made a contribution to the Autonomic Charitable Trust at the event, since this is a charity of which Sir Roger was a founding trustee, and he chose to dedicate his post-athletics academic career to developing the field of autonomic medicine. We're all choppers aren't we?